6-strut layout – that gives the kite excellent low end performance, a direct feel, and makes the kite easy to control. Optimized leading edge tube – the 2010 Ion’s leading edge has been fine tuned to offer a perfect balance of rigidity, stability, relaunch, agility, upwind ability and weight. Anti-flutter trailing edge battens – flexible yet tough batten material that, in combination with Dacron, ensures resonant frequency vibrations are eliminated. These vibrations can occur when the trailing edge changes shape (during a driving turn). Molten bladder technology – the bladders will resist in temperatures up to 120 degrees Celsius. Available in 3 colors: blue, green, and red. 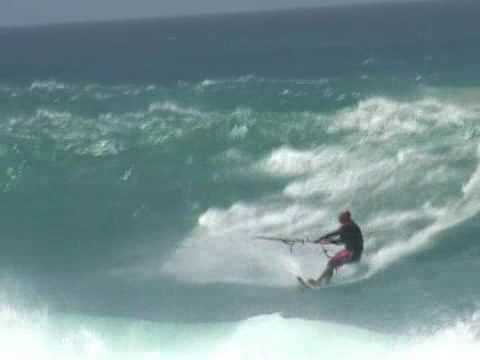 Out of all the Flexifoil Ion kites that were released over the years, the 2010 one promises to be the best in the range. This is a kite that offers great hangtime, positive and progressive steering, fast turns, a C-kite feel and the sort of performance you would expect to get from a hybrid. The 2010 Ion also offers exceptional control and the perfect amount of bar pressure. As Flexifoil explained, it did not try to revolutionize the kite with the 2010 Ion. What Flexifoil did instead is it made the kite better; it helped the Ion evolve into a more refined kite. “This is evolution, not revolution,” said Flexifoil. - Made from the most durable materials.